PERIPHERY will release its fifth album, "Periphery IV: Hail Stan", on April 5 via the band's own 3DOT Recordings. Sirius XM Liquid Metal host Jose Mangin debuted the album's first single, "Blood Eagle", yesterday. Guitar player Mark Holcomb said of the six-minute track: "We've known since the late stages of P4 writing sessions that 'Blood Eagle' would be the first song we released. It's an unrelenting song that, even while we were writing it, we could say to ourselves, 'We need to play this live.' The original demo was vastly different, and through the songwriting process, it took on this kind of violent, explosive nature that is always hard to synthesize. That energy excited us and we knew it'd be the first thing we'd let you all hear." The official music video for "Blood Eagle", which was directed by Jeremy Danger and Travis Shinn, can be seen below. "Periphery IV: Hail Stan" marks two significant firsts for the band: the first PERIPHERY release on their recently formed label, 3DOT Recordings, as well as a change in the way they approached writing and recording. "We finally spent a year on a record," explains guitar player/programmer Jake Bowen. "We've never been able to do that. The quality and pacing of the work show we took our time with this one. That's an important note about this. We really got to do everything we wanted to do in the space we had to do it." Mark adds: "I think you can hear the adventurous intent behind much of this material as a result. We're all the happiest we've ever been with a release, and it's no coincidence. Can't wait for you all to hear it." Pre-orders, which include several limited-edition vinyl and merch bundles, are available now. Digital pre-orders include an immediate download of "Blood Eagle". "Periphery IV: Hail Stan" is the first release to follow the band's 2017 Grammy Award nomination in the "Best Metal Performance" category, for "Periphery III: Select Difficulty" album opener "The Price Is Wrong". The 2016 album tallied 35 million cumulative streams and marked their third consecutive debut in the Top 25 of the Billboard Top 200. It represented the apex of a tireless decade-long grind. Along the way, the band graced the covers of Guitar World, Revolver, Modern Drummer, Bass Player and more. 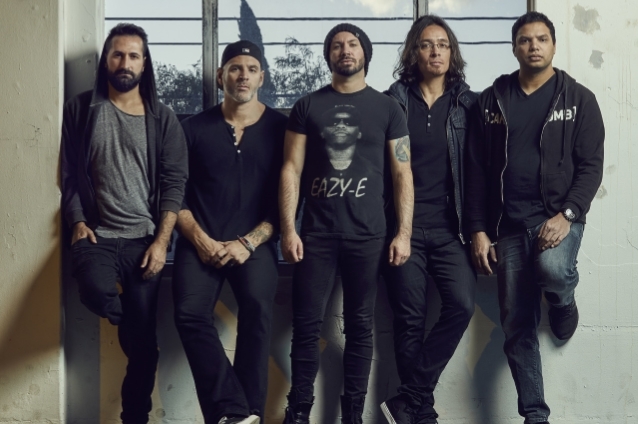 In between the touring, endorsements and appearances, they also launched a summer camp of their own, "Periphery Summer Jam".